Your site is a great platform for you to capture leads. Still, most of the visitors in your site aren’t there to convert right away. Through your CTAs, premium content and other contact forms in your site, you’ve acquired the interest and information of prospective clients. But now, what to do with it? What’s the next step? Lead nurturing! But first, let’s go over some basics. 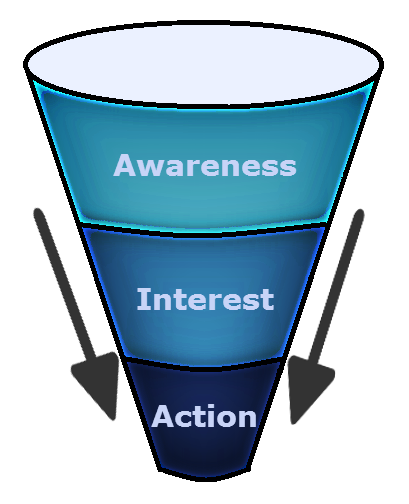 There’s a term in marketing known as the purchase funnel that represents the different stages a visitor goes through before converting. At the top and wider part of the funnel are those who are aware of your business but aren’t interested in buying yet. At the bottom and narrowest part of the funnel, are those who are ready to take action and become clients. Should you neglect those in the higher up stages? No! Lead nurturing is a way to bring those who are in the first stages down the funnel. Most of the visitors that come into your site are in those research stages, meaning they’re just looking around and are not interested in making a commitment yet. But what is lead nurturing and how will it help you manage the leads you’ve acquired in your site? Well, lead nurturing is a below the line marketing strategy that’s all about managing and building relationships with your leads. Like its name states, it’s allows you to nurture and periodically reach out to your leads so you and your business leave a lasting impression in their minds. Through lead nurturing you have a better chance of converting leads into customers because, when they need insurance services, they’ll remember and come to you. Pay off can be delayed but it’s more probable to come. What’s more, through lead nurturing you can slowly but surely start developing consumer loyalty and repeat customers. How does it work? It basically consists of an email marketing campaign that’s periodically sent out to your leads. 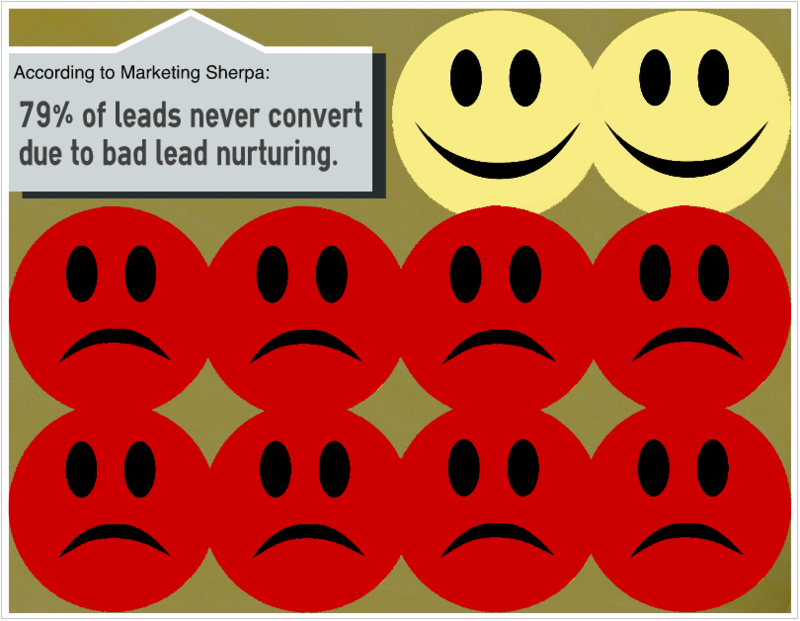 According to Marketing Sherpa, 79% of leads never convert due to a bad lead nurturing strategy. So, it’s safe to say that you need to do it right or kiss your leads goodbye! In the spirit of helping you out succeed, I’ve put together a small list of do’s and don’ts for lead nurturing. Read on and stay on the right path! Lead nurturing may seem easy: you just build up your list and then send automated emails to all your contacts. But you shouldn’t think of it this way! Why? Because your leads aren’t interested in the same subjects. Some may have contacted you because they need car insurance. Others may have a need for health insurance. These are two groups of people that have a defined necessity and won’t appreciate you spamming their inbox with topics they don’t want to know about. At first, this may not seem like the smartest thing to do because it requires more work on your end. But by categorizing your leads, you’ll have a stronger and more personalized pitch to get to them and, eventually, convert them into clients! I’ve said a couple of times now that you need to reach out to your leads periodically. But what does this mean? Obviously, people will be more receptive to you when they have a need. So what you need to do is do some research on your customers: when are they more likely to buy? It may be 2 or 3 months between the time a person is in that first research stage and the time they decide to purchase your service. But, if you send out one email with important content each month (a video one month, tips and tricks another), by the end of that time period, you’ll have a sales ready lead! The thing here is to be aware of a customer’s journey before buying and making standardized content for a specific group of people that’s going through those stages. One of your first instincts after getting a lead may be to call them up right away. The thing is, most people don’t want to be called randomly to hear about your insurance. That will just scare them away! You need to get them with a different strategy. Now that you have managed your leads and are sure that what they want from you, it’s time to start sending out content that will speak to their needs periodically. As stated above, lead nurturing is a below the line marketing strategy that focuses on sending out VALUABLE content to a SPECIFIC TARGET, be it through webinars, e-books, etc. If you need some ideas on this department, click on the links for inspiration in Health, Life and P&C insurance content. Track your leads and learn what they’re doing with the content you’re sending. Are they reading your emails? Do they even open it? How much time do they spend reading it? by tracking their moves, you can get a better idea of the level of interest in your business and their readiness to buy. A tool like Tout App, can be great to manage your email and determine who is doing what with your emails. Be mindful that these aren’t definitive answers! You should also keep score and award your leads certain points when completing certain actions. This way you’ll have a better idea of who is getting closer to that conversion stage! 5. Don’t Forget to Seal the Deal! Instead: Pick up the Phone! Not that you would but, after all that lead nurturing, don’t miss the opportunity to pick up the phone and finally convert your lead! After a while of nurturing a lead, knowing their interests and their readiness to buy, it’s a good idea to give your leads a call to seal the deal. This is the final step in insuring that your business grows! Like I mentioned before, the big BIG majority in your site are potential leads that need an extra push and nurturing to get to the finish line. You may think it’s a waste of time to come up with some kind of strategy but know that companies who work on growing their relationships with their leads over lead nurturing have seen an increase of 50% in sales ready leads. That’s a huge opportunity right there! And growing your business is the bottom line, is it not? Give lead nurturing a try and be sure to do it the right way! Have any questions or comments? Let us know in the section below!